In Andy Weir’s The Martian, astronaut Mark Watney endures some pretty horrible things after a Mars mission goes terribly wrong: starvation, explosions, isolation. And while his adventure might seem like pure science fiction, his journey of survival is deeply rooted in actual science. As Weir tells it, he always wanted to read a story that emphasized science. But rather than wait around for someone to write it, he just did it himself, with much of his research done through the good old Internet. To celebrate the film’s release on digital (Dec. 22) and Blu-Ray (Jan. 12), we got a chance to speak with Weir about the importance of the Internet, private space companies, and when he thinks the first human will set foot on Mars. Spoiler: it could happen a lot sooner than you think. Although Congress has pledged more money to NASA, there’s no way in hell we’ll get to the point of a manned mission to Mars without the help of private space companies, the likes of which include Blue Origin, Boeing and SpaceX. At the pace our technology is progressing now, Weir estimates the first human will set foot on Mars by 2050, though NASA has much loftier goals, with the potential for a mission to launch as soon as the 2030s. Weir noted that the first mission will likely be a collaborative effort between a number of countries, similar to what we see with the International Space Station. Our progress toward a mission will also hinge on how quickly the technology for space flight advances. The good news is that companies like SpaceX have successfully tested rockets capable of launching to orbit and landing back on Earth, which will eventually drive the cost down for space flight in a significant way. 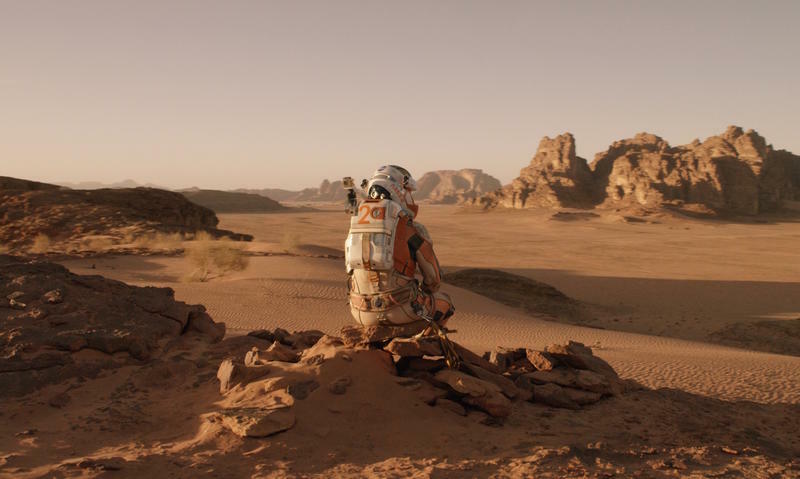 Although Weir’s goal was to make The Martian as scientifically accurate as possible, there are some inaccuracies, which Weir is aware of. The biggest inaccuracy in both the book and movie occurs toward the beginning, which sees a Martian sandstorm strand Watney on the planet. In reality, Mars’ atmosphere is 1/200th the density of Earth’s, which means a sandstorm on the Red Planet would feel like nothing more than a gentle breeze; certainly not enough to create the problems that befall Watney and his crew; a Martian sandstorm wouldn’t do any damage—not the way a hurricane would here on Earth. Weir knew this, but he took a few creative liberties for entertainment purposes. 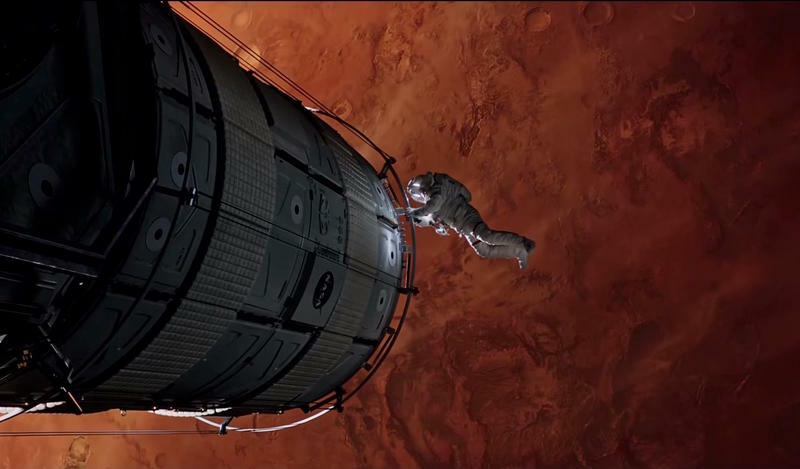 Even still, Weir was able to conduct his research for The Martian entirely through the power of the Internet (and through his love of science). What was created is a compelling, rousing look at not only the life of an astronaut, but a glimpse of what a mission to Mars could look like once we get there (hopefully without anyone getting stranded). 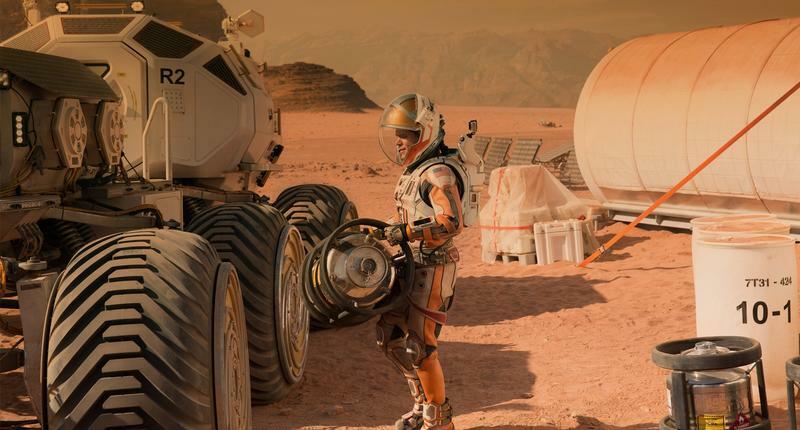 If you have yet to see The Martian, you can pick up the digital copy today, Dec. 22, and the Blu-Ray on Jan. 12.